New market search study “Global Pharmaceutical & Biotechnology Outlook 2012” elaborated by MP Advisors has been recently published by Market Publishers Ltd. According to the study, the year of 2011 was one of the very good years for the global pharma industry as the USFDA approved a trend setting 39 new drugs, which is way ahead of the 20-25 approvals observed over the last so many years. The year of 2011 was one of the very good years for the global pharma industry as the USFDA approved a trend setting 39 new drugs, which is way ahead of the 20-25 approvals observed over the last so many years. In 2012, although patent expiries will pose pressure on growth, innovation will continue. 2012 should emerge as strong as 2011 in terms of new approvals. A very strong positive news flow on late stage pipeline products in select therapy areas – Melanoma, HCV, Anticoagulants, Alzheimers, Multiple Sclerosis, diabetes-GLP-1, should set in a new growth trend. The oncology space, driven by innovation around personalized therapy, will undergo major evolution over the next few years. To dissuade the biosimilar threat, the larger cap biologic companies are actively focusing on life cycle management, and are likely to pose threat for small companies investing in biosimilars. 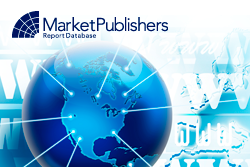 New market search study “Global Pharmaceutical & Biotechnology Outlook 2012” elaborated by MP Advisors has been recently published by Market Publishers Ltd. The study provides extensive research and comprehensive data on the global biopharma market, mapping the highs and lows of the year and assessing the critical success factors that can shape the industry's future. From the macro analysis of over 200 companies arise approximately 40 or more actionable capsules categorized into Global Pharma, Japanese Pharma, Specialty Pharma, Mature Biotech, Rising Stars (unprofitable biotech) and Indian Pharma. More new market research studies by the publisher can be found at MP Advisors page.